Absolutely! There is no question that structured data that produces rich snippet "bling" that improves SERP click through rates (CTR). Virtually every search engine expert on the planet will tell you that organic click through rates are a major search engine optimization ranking factor. 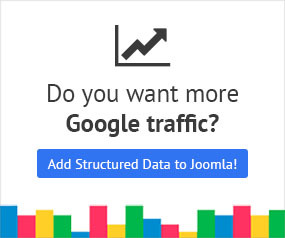 Thus, structured data has a very high correlation with search engine rankings. Yes, it works everywhere. Mobile implementation of Schema.org data is in its infancy. If you implement structured data correctly, you can also be eligible for a new sort of presentation in the form of mobile Rich Cards. Google has provided a certain set of guidelines for all the snippets of Structured Data they provide and will provide in the future. We strongly advise that you read these guidelines before you use our Google Structured Data Markup Plugin as they can provide valuable information on how you are supposed to use this technology. It is important for you to understand that we are in no way able to inspect the way you use this Plugin to guarantee its success nor are we responsible of the possible outcomes in case you do not follow Google's guidelines on proper usage. Find below a list of all the guidelines Google has published for each of their snippets along with some general guidelines.